I’m really grateful I’m doing what changed my life. Coming to Uganda as a refugee at the age of 16 was not a great experience. You never had any hope of tomorrow but playing sports and games transformed my life. If not of people who sacrificed their time, health, family to come and play with younger people, I could never be the person I am today. Volunteering in Rwamwanja is one of the greatest achievements in my life journey. 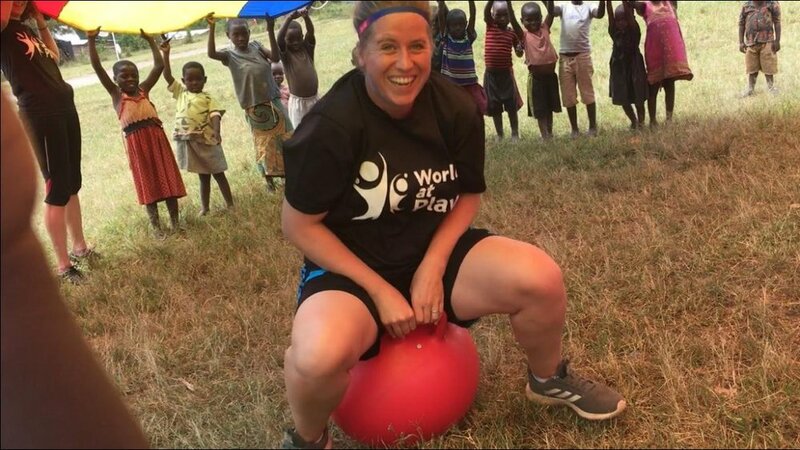 Instead of football, netball, and volleyball, we taught games the kids have never seen or played before - frisbee, hockey, touch rugby, benchball, and some initiative games that enabled them to think strategically. Instead of boys vs girls, we ‘mingled,’ encouraging kids to form teams that involved both sexes. Instead of teaching in a classroom, through sports, we taught communication and teamwork by encouraging young kids to resolve their differences and maintaining fair play. Instead of biscuits and water, we gave young boys and girls confidence. Instead of setting limitations, we expanded their imagination. While our presence and our games in the past six weeks may seem small, the ripple effects can be extraordinary. Imagine what it’ll be for next year!!! 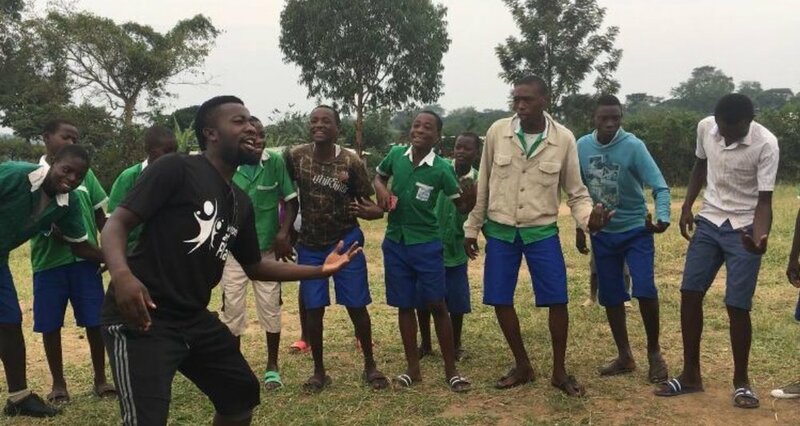 My best moment in WAP project in Rwamwanja Refugees settlement is when I led games such as: zookeeper, tug of war , Benchball, Dances and Chants. 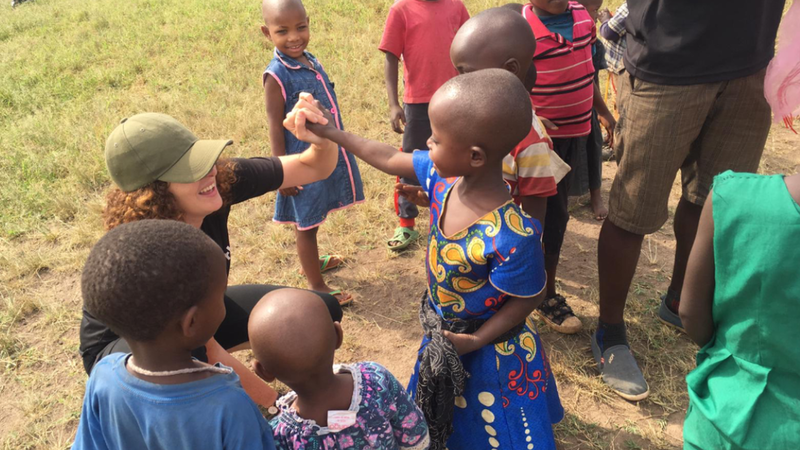 I felt happy and joyful to share love and happiness with kids and youth refugees in the settlement In Uganda. We established peace, harmony, union among refugees from different countries and build teamwork. It was really tremendous to share happiness with refugees in Rwamwanja. I had amazing team full of care and support, they were all helpful to me I cannot forget that! Building up a teamwork and collaborations. Have you ever played the game ‘giants, wizards and elves’ before? In this game two teams compete against each other by acting one of the three characters. The giant wins from the wizard, the wizard wins from the elf, and the elf wins from the giant. We have played this game several times, but my favourite was at the child friendly space. Even more than in a school, you see within an hour such a transformation of the children we play with from being shy to having the biggest smiles on their faces. For the occasion we transformed the giant to a pumba. At first the kids looked a bit suspicious at us. Who are these silly people roaring away or pretending to be a wizard? But soon enough they were roaring like a pumba as well and celebrating each win as if it was the best one. Doing something funny and silly together is such a good way to connect to the children and to make connections between the children. It doesn't matter who you are or where you come from, you just laugh and form one pumba together! My most memorable moment from this incredible project was the day we turned up at a school to find it locked up because it was food distribution day (the day every refugee family gets their allocation of food for the month). This school was far in to the settlement and we had travelled a long time on bumpy roads to get there so we decided to go ahead with the five children who also hadn't got the memo about school being cancelled. Once they realised we were not there to give them injections they loved it and started to round up more children. By the end of our session we had over sixty children playing and quite a large audience of adults laughing their heads off at our antics. The enthusiasm of this community summed up the importance of our work for me. The children here don't have easy lives, their families have fled terrible situations, they often have to take care of younger siblings and they have to walk a long way to school. But give them the time and space to play and you see these burdens melt away in an hour of colourful, silly, giggle-filled pure childhood. Mornings here are the most memorable. On our way to Rwamwanja, we are sandwiched by beautiful views of the green ranges. Constantly reminding us of our purpose here is the sight ahead - throngs of children lining the road, making their way to schools. Many are barefooted, some with young siblings firmly holding their hands. We arrive for our first session of the day, and receive infectious smiles. Amid the hidden despair, lies hope. One, two children organise the group. Then, a few eagerly and gleefully teach their friends what they learnt in a past session - like how to pass the “plate” (frisbee). Leaders are emerging from this young lot - we see this with every sports and games session in every school. So, as we make our way to Rwamwanja every morning, I am in awe of the resilience and desire of the children to learn, and of course, to play. This strong sense of awe is what I will always hold dear to me, for this is our World at Play. Driving through Rwamwanja for our last time, I am finally able to reflect on what has happened over the last seven weeks. I am 4000 miles from home. We have spent 50 days as a team. We have completed 28 days of sessions in the field. There have been over 4000 young people involved in sports and play. Thousands more excited by our presence, smiles and waves. We are 7 team members changed forever. It’s been intense, it’s been hard, it’s been captivating, it’s been amazing. When I first started this project, I was unsure. How can we make a difference in a place that is so overwhelmed by hardship? How will I work with strangers in a strange and new environment? Will I be strong enough, brave enough, to smile through seeing young people in such deprivation? I am now sure of this project. I am sure that World at Play’s arrival has made a difference. I am sure that the children have memories they can hold on to for years. I am sure that the teachers in the school have changed their attitudes to sport and play, and know how to implement it. I am sure that the children will continue to play games long after we leave. I am sure Rwamwanja was glad to have us. I am sure that the hugs I received from young people in our final days were thank you’s. I am sure that I will never forget this.